The State of California and several environmental groups challenged this decision, but “because these projects are statutorily authorized and DHS has waived the environmental laws California and the environmental groups seek to enforce, we affirm the district court’s grant of summary judgment to DHS.” The District Court held that IIRIRA created a jurisdictional bar that prohibited the District Court from hearing non-constitutional claims, and dismissed the plaintiffs’ constitutional claims. Nevertheless, the panel majority concluded that it could still review the separate ultra vires and environmental claims, and concluded that even these claims were precluded by the Secretary’s waiver, as permitted by law, of NEPA, the Administrative Procedures Act and the Coastal Zone Management Act. 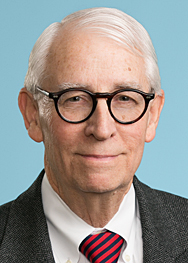 In dissent, Judge Callahan argued that the Ninth Circuit did not have the authority to review these decisions because the IIRIRA limited any appellate review to the Supreme Court, and the Ninth Circuit did not have jurisdiction to review these appeals.